WARREN, NJ, January 19, 2017 – Aaron Jones, the Philadelphia Union’s second round pick of the 2017 MLS Draft, has signed with InterperformancesUSA (IPZ), the company announced today. The 5-foot-9 right back hails from Great Yarmouth, U.K. and began his college career at Georgia State University. He was named to the 2013 College Sports Madness All-Independent Second Team during his freshman year and the 2014 All-Sun Belt Conference Second Team in his sophomore season. In January 2015, Jones transferred to Clemson University and helped the Tigers reach the Elite Eight. His game-tying goal against UC Santa Barbara in the Sweet Sixteen was featured on SportsCenter’s Top 10 plays. During his senior campaign, Jones tallied three goals, four assists, and 10 points, and Clemson made a return to the Elite Eight. The program was ranked #1 in the final RPI poll for the 2016 season. Jones has tweeted to Philadelphia Union fans that he can’t wait to begin his MLS career in the City of Brotherly Love, especially after watching the documentary that brought the Union to Philadelphia, Sons of Ben: The Movie. “Even more excited to get started with @PhilaUnion after hearing their story #SonsOfBen,” he wrote. Watch Jones’ collegiate highlights here. Zito Partners has reached an agreement with Interperformances, an agency that specializes in representing professional athletes, to revitalize basketball’s presence and add soccer and additional sports to the U.S. market. Under the agreement, Zito Partners will form a new company, InterperformancesUSA, and be the exclusive representative of Interperformances and its athletes in the U.S. market. InterperformanceUSA will have offices in New Jersey, New York and Florida, and will be led by Robert Zito, founder of Zito Partners, a Warren-based public relations and marketing firm. 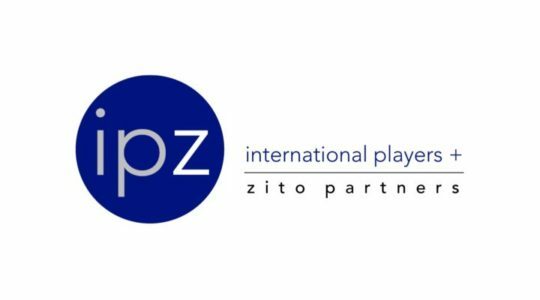 SAN MARINO, NEW YORK, and WARREN, N.J., Jan. 11, 2017 /PRNewswire/— Interperformances (IP), which for 31 years has been one of the leading companies in international basketball, has reached an agreement with Zito Partners to expand its presence in the United States, and add to the services it offers its clients. SAN MARINO; NEW YORK; and WARREN, NJ, January 11, 2017 – Interperformances (IP), which for 31 years has been one of the leading companies in international basketball, has reached an agreement with Zito Partners to expand its presence in the United States, and add to the services it offers its clients. InterperformancesUSA will offer a full suite of services for the individuals it represents, and build its brand on the integrity of its people, and the family–centric environment which has defined Zito Partners. Col. Jack Jacobs, a Congressional Medal of Honor recipient and political and military analyst for NBC. Col. Jacobs is also developing plans for the company’s media & entertainment group.